Following heroes Tracer and Mei, Mercy is the next Overwatch character to receive a collectible Nendoroid figure from Good Smile Company. The Chibi “super-deformed” collectible is fully-articulate, but requires the stand for display; Mercy is one of the few Nendoroid figures that will not stand upright on its own. Three interchangeable faces are included depicting standard, smiling, and aggressive combat-ready expressions. 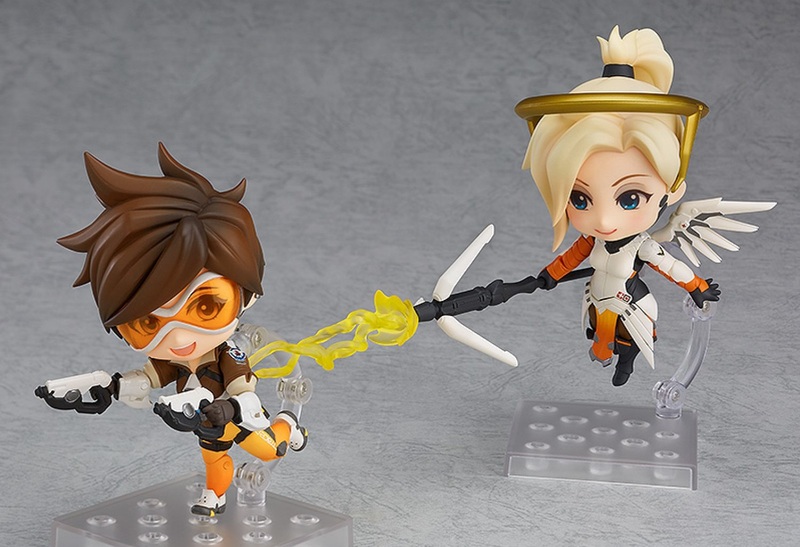 The Caduceus Staff itself includes additional parts that allow Mercy to pose with the weapon in either combat or healing mode; a special-effect accent piece also gives Mercy the appearance of healing other Nendoroids, such as the pairing of Mercy and Tracer pictured above and in the gallery below. GSC’s Overwatch Nendoroid “Mercy” figure can be pre-ordered through Play-Asia, Solaris Japan, Blizzard and other collectible retailers for roughly $39.99-$49.99, and is expected to begin shipping in Q1 2018.